Roma Sport has created a wheelchair design that adapts as the athlete develops. 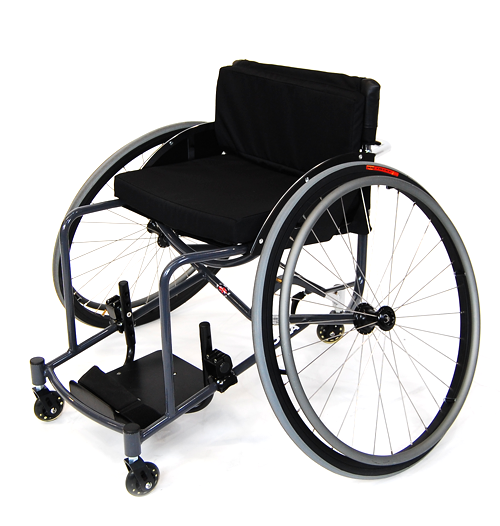 Available in both youth and adult sizes, the steel frame supports an adjustable foot plate, backrest and anti-tip wheel. Additionally, 25″ quick-release rear wheels come with the chair. The design is adaptable and cost-effective, making wheelchair tennis more accessible. Roma Sport has an extensive range of Tennis Wheelchairs from totally bespoke Made to Measure wheelchairs to a range of Grassroots Tennis Wheelchairs to suit all levels of competition and different budgets. 24″ (Youth) 25″ (Adult) Quick Release Wheels. 21° (Youth) 19° (Adult) Fixed Wheel Camber. Hook and Loop Foot Strap. 6-Tab Grey Anodised Push Rims. Adjustable Side Guards, Canvas Backrest & Tension Seat Sling. Horizontal, Vertical & Tilting Adjustable Foot Rest & Foot Plate. To tackle one of the barriers to participation in wheelchair sports, we created an affordable chair specifically designed for grassroots wheelchair tennis. We developed a tennis-specific wheelchair using the experience of wheelchair tennis players, and the input of elite performance coaches. Within the Tennis range – there is a choice of Elite Pro, Grass Roots Adult and Grass Roots Youth. The Elite Pro can be purchased as made to measure, which involves utilising our patented Contour Body Mapping fitting process, that allows us to take measurements to within two decimal points of a persons optimum seating position. 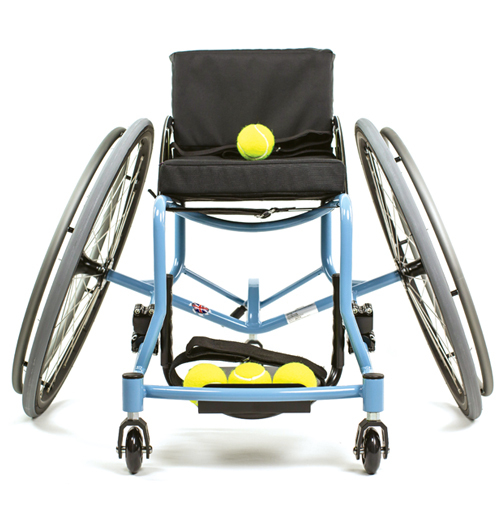 The grassroots tennis wheelchair is a lightweight construction made of steel. The axle position of the seat and wheels construction to make it easier and faster for players to move around the court. This tennis chair has adjustable components so it can be adapted as a player develops from a beginner to a regular player.